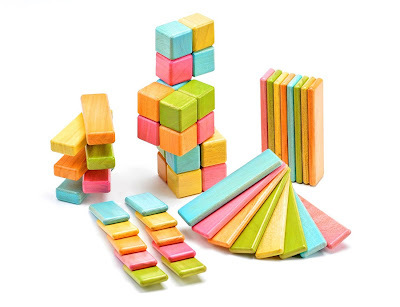 I saw the Tegu blocks and thought, what a good idea, magnetic blocks made out of wood! I debated for a while because of the price, but decided to take a chance on these and ordered the 52 piece Tinted Set. Let me tell you, when the blocks arrived, I was the first one sitting on the carpet and building futuristic towers. These blocks are totally addictive! So worth the investment, even if only for Mommy's entertainment. 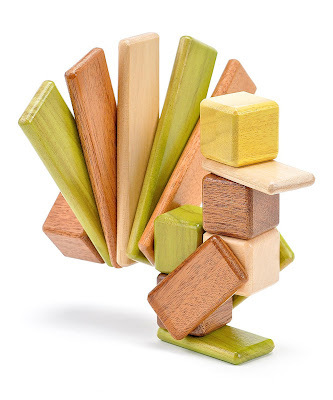 I have no idea how they get the magnets inside seemingly solid slices of wood, but it's awesome, I tell you! 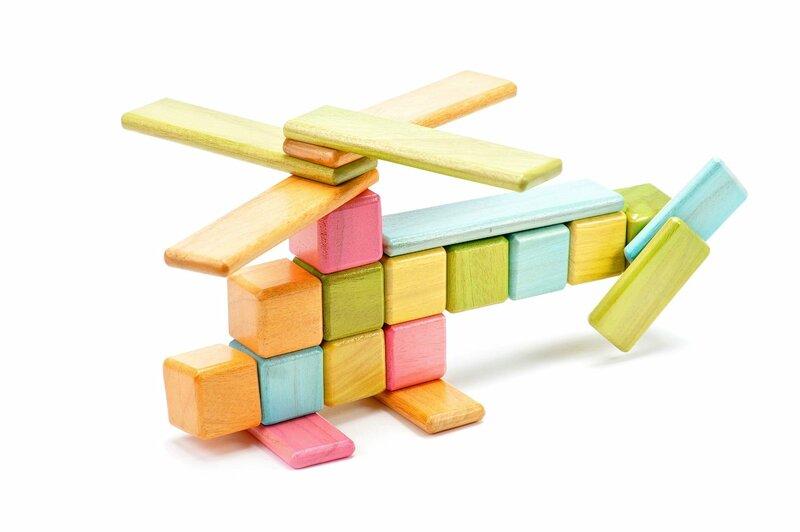 Besides for being fun and attractive, Tegu blocks are Eco friendly. 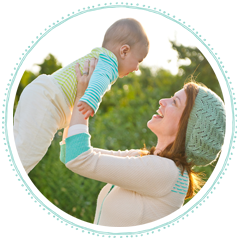 Created from Honduran hardwoods and naturally safe: no lead, no plastic, non-toxic, water-based lacquer finish, no small parts. 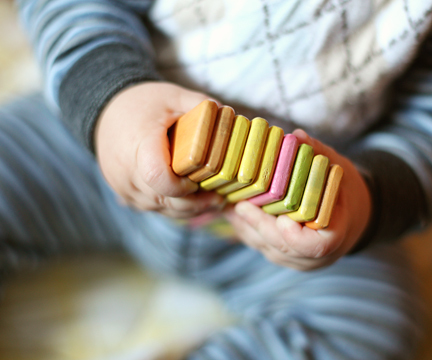 My baby is not old enough to build with them yet, but he enjoys taking them out of the box, clicking them together and chewing on them with a relish. I'm sure once he figures out how to build, these blocks will provide him with hours of creative pursuit. In the meantime, Mommy will have her fun.